I’ve been hearing about this Chipotle style Instant Pot Cilantro Lime Rice for quite some time now, but never tried to make it myself. The other night I had a hankering for Burrito Bowls and of course, had to make some rice as the base for these bowls. In the past I’ve tried my hand at Mexican Rice to serve with my Skinny Chicken Enchiladas with very little success. It usually lacked flavor and was in general, pretty unappealing. One of these days I will master the Mexican Rice served at Mexican restaurants! However, I digress. That night, as I dug through my fridge like a scavenger, I realized I had fresh cilantro, lime and lemon. A quick search of my pantry revealed that I also had Jasmine rice and Tajin. With those culinary discoveries, my creative wheels started turning. How could I spice up my rice game with what I had on hand? Enter, this Cilantro Lime Rice. 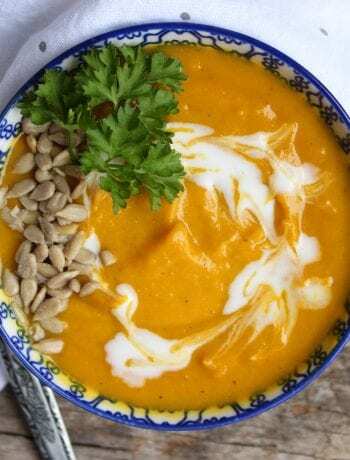 I grabbed my trusty Instant Pot, tossed in the ingredients, and popped the lid on. With a hope and a prayer, I set the electric pressure cooker to work and kept my fingers crossed that this recipe would turn out good. Twelve minutes later, I had the most delicious, flavorful, Instant Pot Cilantro Lime Rice that you could imagine! This gluten-free rice was the perfect base for our burrito bowls, not to mention it was absolutely, incredibly tasty and easy to make. I was sold! 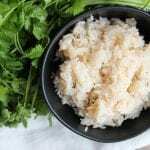 I love making rice in my Instant Pot because it’s not only fast and easy, but the rice turns out perfectly every single time. 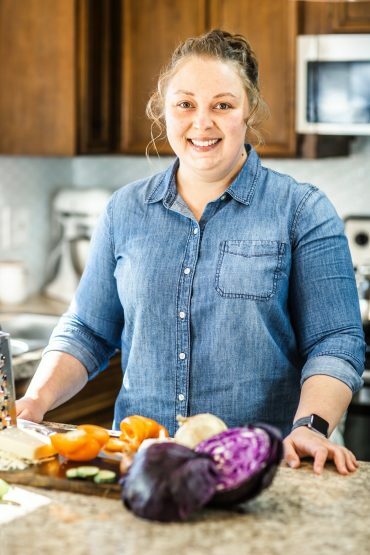 Before my Instant Pot came along, I was one of those that either served up crunchy, under cooked rice or mushy, gooey, over cooked rice. It was awful. Now that I have my pressure cooker, my rice turns out perfectly every single time! Yay!! 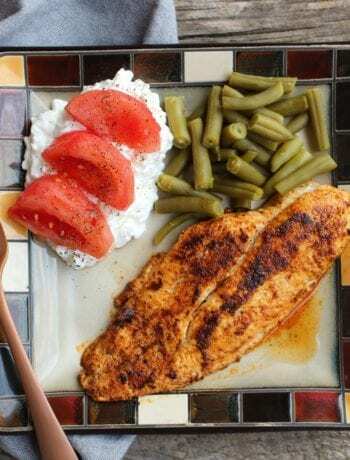 For this recipe I used 2 cups of uncooked Jasmine rice. Once the rice has been added to the Instant Pot (or pan on the stove, however you prefer to make it) add in 3 cups of water. Rinse 5 sprigs of fresh Cilantro under cool water to remove any dirt, then chop it all into very fine pieces. You can also use herb scissors like these HERE to chop the Cilantro. I have this pair and absolutely love them! 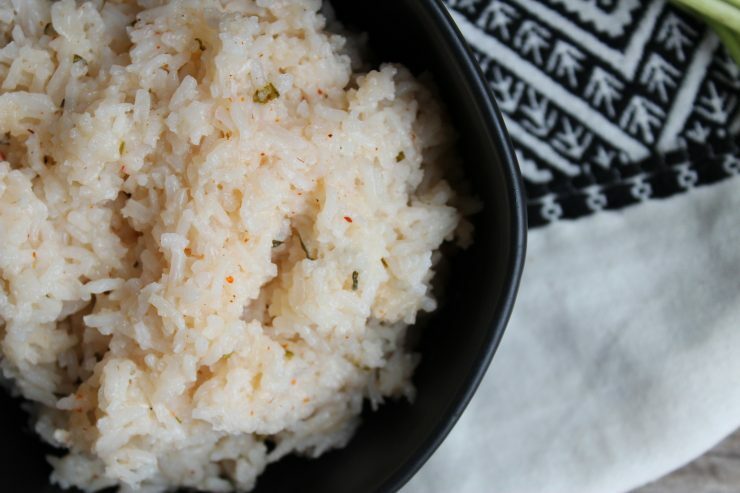 If you like Chipotle’s rice, you will love this easy recipe you can make at home! 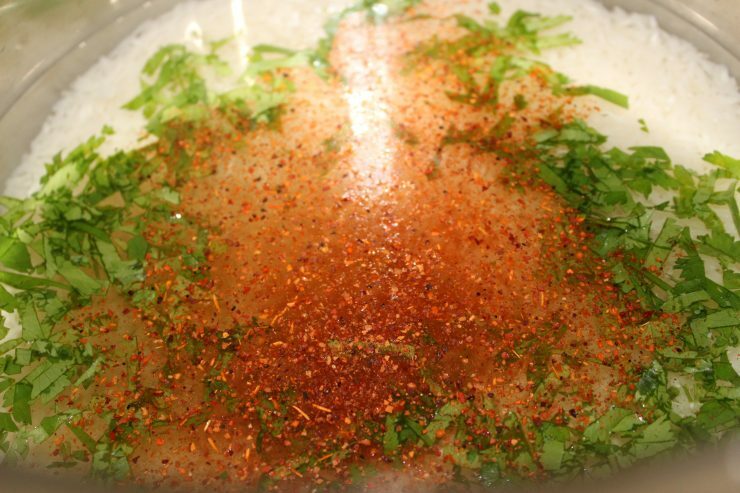 Now that the water and fresh cilantro has been added to the Jasmine rice, add in 1 teaspoon of Tajin and 1/4 teaspoon of salt. The addition of Tajin makes this Instant Pot Cilantro Lime Rice ah-mazing! Y’all, I just recently discovered Tajin and I cannot believe I have lived all of my 29 years without this amazing seasoning. It is absolutely incredible and I add it to everything. I mean everything. If you’ve never tried it, you can find it down the Hispanic food aisle in most grocery stores. Once you Tajin, you’ll never go back. Trust me. You may even start adding it to everything too. 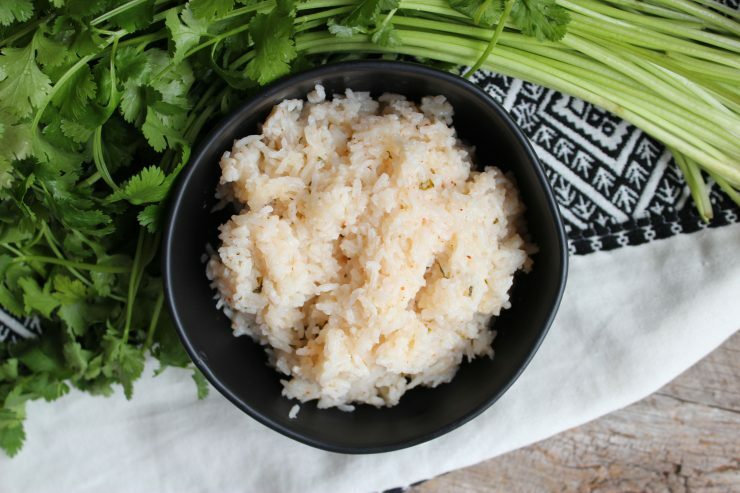 Adding fresh lime juice to your Instant Pot Cilantro Lime Rice gives it a powerful flavor punch! The only thing left to do here is add in the fresh lime and lemon juice. Select a lime and a lemon and roll them across the counter with the palm of your hand pressing them down slightly, as if you were using a rolling pin. This helps to release the juices before you cut and squeeze them, giving you the most bang for your buck. 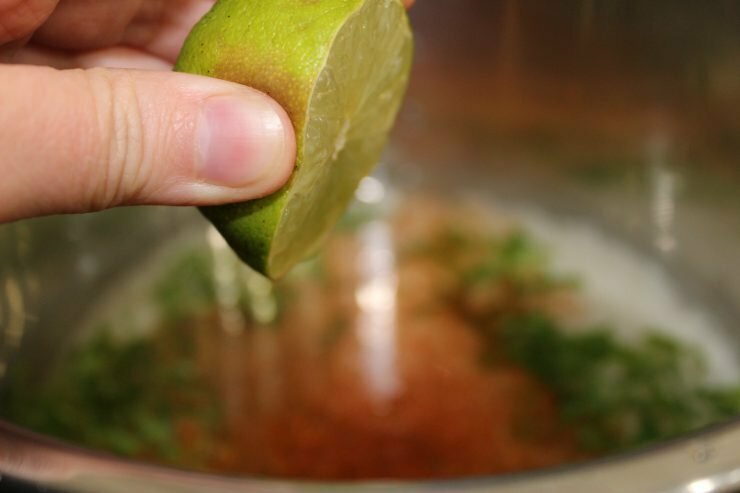 Slice the lime in half and use a citrus press or your hand to squeeze the juice of the lime into the contents in the Instant Pot. Now slice a lemon in half and squeeze half of the lemon into the Instant Pot. The infusion of fresh lemon and lime to this Jasmine rice gives it such a wonderful flavor punch! Now that all of your ingredients are in the pressure cooker, lock the lid into place and set the steam release valve to the sealing position. 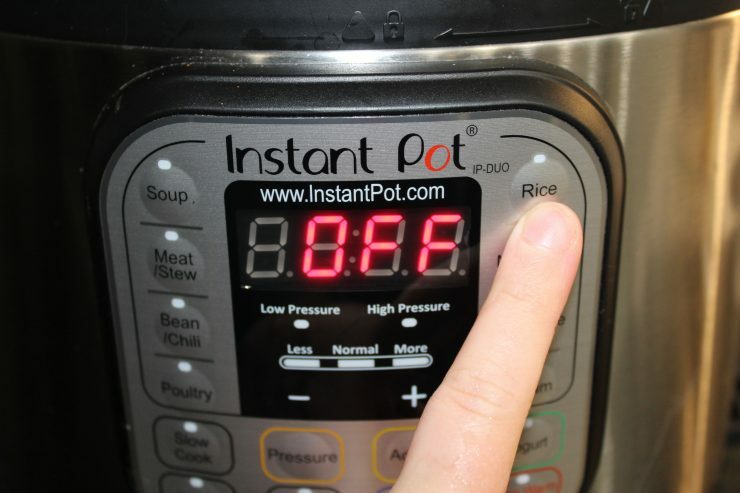 Select the pre-set “Rice” cooking feature and let the Instant Pot go to work! The pressure cooker will get to work cooking the rice for you, which takes a total of 12 minutes. Once the cooking time is up, use a spatula or long handled spoon to move the steam release valve to the venting position. Use caution while quick-releasing the pressure because the hot steam will burn your fingers if you’re not careful! 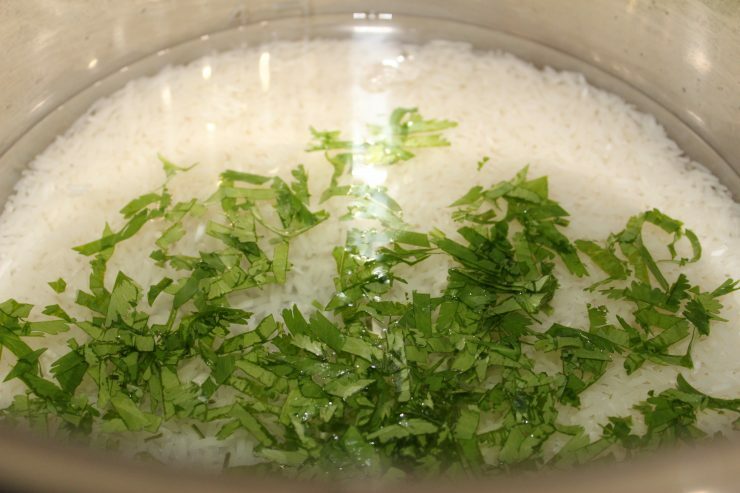 Once the pressure has been released, remove the lid and use a spoon or spatula to stir and fluff the rice. The seasonings in the rice will have all risen to the top so they will need to be stirred in before serving. And just like that, your Instant Pot Cilantro Lime Rice is cooked and ready to eat! 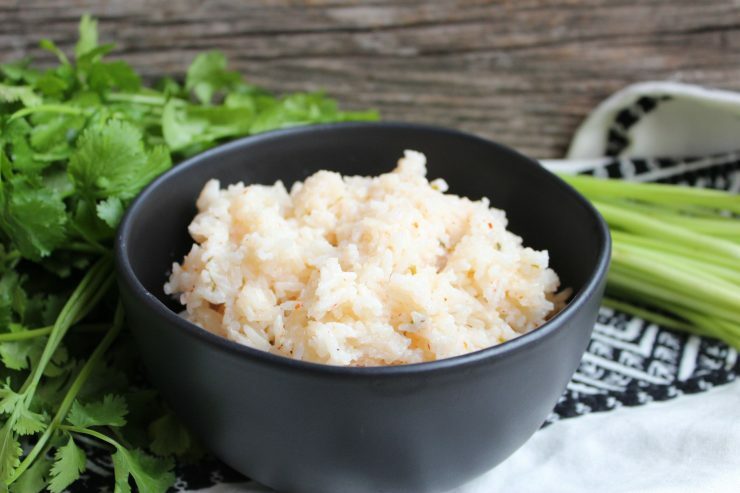 We love to serve this rice with Enchiladas, Burritos, Tacos, and as a base for Burrito Bowls! I’m so glad you could join me in the kitchen today! 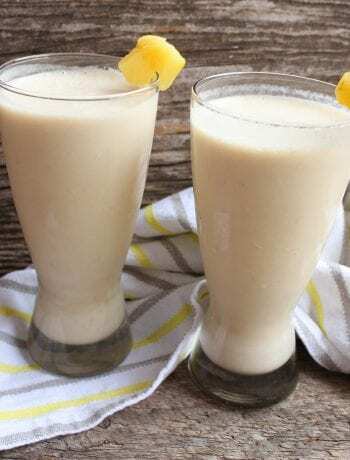 I hope you will come back soon to visit, and while you’re here, please leave me a comment and rate this recipe if you’ve tried it. 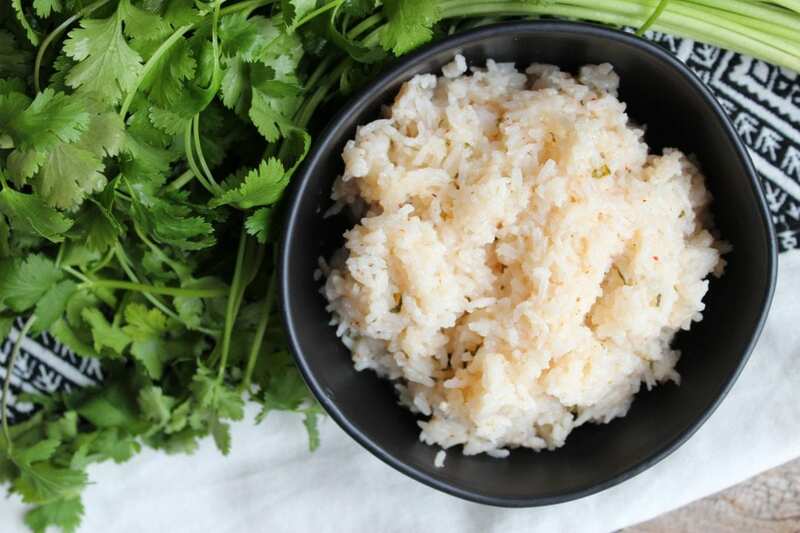 This Instant Pot Cilantro Lime Rice is the perfect side dish for your favorite Mexican meal or as a base for burrito or fajita bowls. 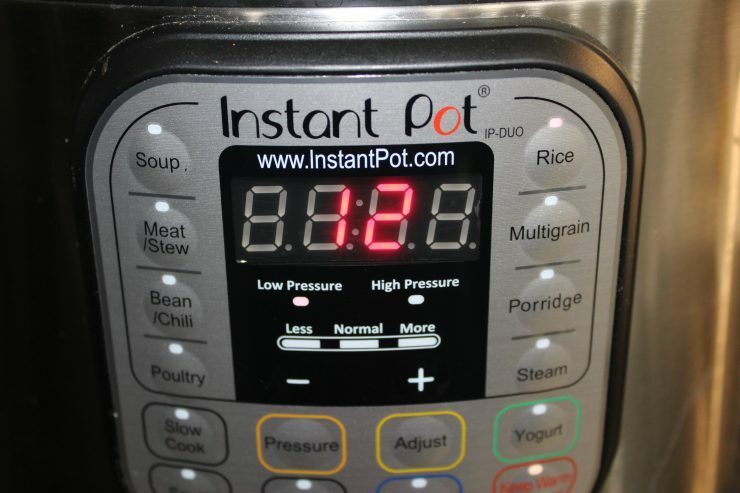 Place all ingredients into an Instant Pot pressure cooker and lock the lid into place. Set the steam release valve to the sealing position and select the "rice" pressure cooking feature. Once the cook time is complete, quick release the pressure by moving the steam release valve to the venting position. 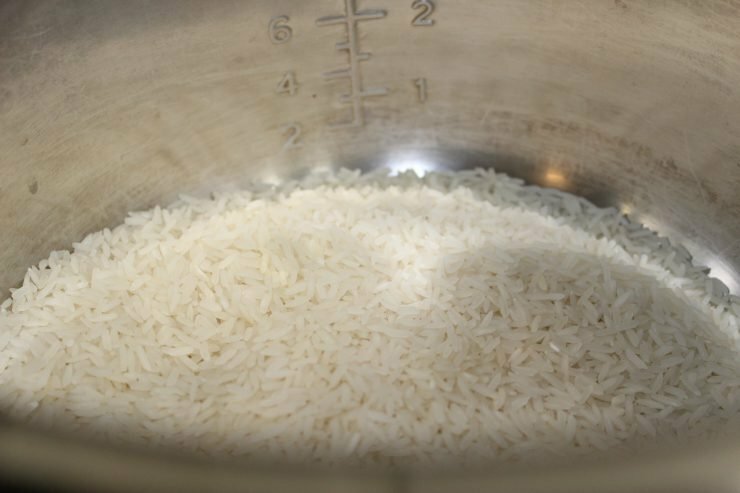 Remove the lid from the Instant Pot and use a spoon or spatula to stir and fluff the rice before serving. Enjoy! I don’t have an instapot so I hope my rice cooker works – this sounds like it’s bursting with flavor! Thanks for sharing at the What’s for Dinner party. Have a fantastic week! The rice cooker will work perfectly! Hope you enjoy!